Giveaway is sponsored by Focus Features. To enter simply leave a comment telling me which film adaptation of the novel has been your favorite so far. The giveaway will be open for one week and will end at midnight on Friday, March 18th. I'll announce the winners the next day. The giveaway is open to U.S. addresses only. As always, please be sure to leave me a way of contacting you. The 2006 Pride and Prejudice mini-series. Although ithink Matthew Macfadyen is cuter than Colin Firth. Also, To Kill a Mockingbird. I have to agree with not finding the PERFECT one yet, but then I haven't watched the most recent mini-series one (2006 Masterpiece Theatre). So I'm going with the Ciaran Hinds/Samantha Morton JANE EYRE adaption of 1997. There is no QUESTION that the Ruth Wilson version is my favorite. I die for Toby Stephens as Mr. Rochester. "Jane Eyre" remains one of my favorite books of all time. I have seen numerous screen retellings, but for me the definitive film version is the one starring George C. Scott and Susannah York. It made a huge impression on me as a young viewer, and I am still thrilled each time I see it again. There is something about the way George C. Scott says her name "Jane". He loads those four letters with different meaning each time he says the name, but each meaning contains a world of feelings. I loved the Masterpiece Theater edition that came out in 2006. The first time I saw it I was completely enthralled - it was the cinematic embodiment of the story I fell in love with as a child. I majored in English many years ago, and was always perplexed as to why they never required us to read Jane Eyre. I decided to make my way through a bunch of English classics that I had never been exposed to. I read Wuthering Heights a short while ago, and then my next book was going to be Jane Eyre. Then, this last weekend, I found the 1986 mini series on Netflix. IIt was horribly acted...so I can't say it's my favorite adaptation, because it was truly horrific. HOWEVER...the story line got me hook, line and sinker! I have been waiting patiently for today, since I knew it was opening in the theaters. Imagine my dismay when I found that it is not playing anywhere near me (SLC, Utah). I'm still going to keep looking, because I'm willing to travel a distance to see it. The trailers are amazing and my heart pounds when I see them! I wish I could vote on my favorite adaptation, but since I only know of the 1986 one so far, I'll vote for that...although it sounds like there have been some far better ones since that time. Which is your favorite? I would be happy to win anything Jane Eyre related...I plan to track down every adaptation available and I will keep hunting until I find it in a theater this weekend...even if it's in another state! 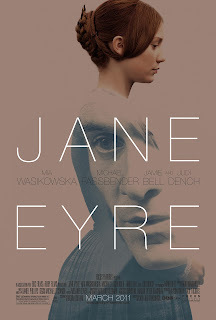 I remember watching "Jane Eyre" in black and white but cannot find the exact version I'm thinking of on IMDB (maybe I got it confused with another film??). So in that case, it's definitely the 1997 version with Deborah Findlay that aired on A&E. The 1983 Timothy Dalton version is my favorite! He makes such a smoldering Rochester.Plus it's pretty faithful to the novel. Please don't add my name to the contest, but my favorite adaptation is the 2006 version with Ruth Wilson. I loved it. The only one I've seen is the 1996 version with William Hurt and Charlotte Gainsbourg, which I wasn't thrilled with. I'm so excited for this latest big screen version though. I've seen the trailer a million times. Toby Stephens/Ruth Wilson is my favorite, hands down. It was the first adaptation I saw, so it's been the one I judge all the others by, so far. I have high hopes for the new movie, though! I'm probably the only one in the universe to prefer the William Hurt version! You know, the universe must hate me too. :( But I've been looking forward to this movie for 6 months, and I'm SO very excited to see it-I thought the trailer looked fabulous! It's awesome that you're doing a giveaway! My favorite adapation so far would have to be the one with Toby Stephens and Ruth Wilson-but I have to agree with you that there hasn't been one that I've seen (and I've seen quite a few adaptations of JE, it's my favorite book...)that I've been totally and completely pleased with. Let's hope for the best with this one! The only version I've seen is the Masterpiece Theater version, so that's my favorite. I gotta go with the masterpiece classic version~ Thank you!! On a whim, I went to see if Jane Eyre was showing here in Topeka, but that is appearently like wishing for snow in August. It's not even in Lawrence, which is ALMOST like civilization. C'mon, Kansas, show some class! That said! I have admittedly only seen the 2006 Toby Stephens version but was incredibly, incredibly impressed. Everything the BBC touches turns to gold. And also? He is Dame Maggie Smith's son. BONUS POINTS. Hands down the 2006 version with Toby Stephens and Ruth Wilson. I cannot wait to see this version! I feel like there hasn't been a great Jane Eyre film adaptation yet. (Maybe I'm too picky because it's my favorite book?) But I'll go with the George C. Scott one for a favorite. Or can I say The Wide Sargasso Sea, as a Jane-related film? My favorite was the one with William Hurt and Charlotte Gainsborough. I'm really looking forward to the newest movie version. I think my favorite thus far was the Masterpiece Theatre version from 2006. However, this movie looks really well done and outshine its predecessor..
the one I like best is the Ruth Wilson, Toby Stephens tv adaptation. it's modern and I think Toby Stephens is quite amusing/charming in this version, although, probably too handsome for the role but still he's great in the role. Got to go with the recent PBS Masterpiece adaption (or Duck Lips as the hubby calls it). You know the one. And you know the parts that I swoon over ever time. le sigh. SO excited to have found your blog (i'm a friend of Michelle's!). The version that I love the most would have to be the masterpiece theater version!!! I could watch it over and over again! Thanks for the giveaway!!! I will die if I don't win! Ok fine, I probably won't die, but I would be severely disappointed. Ha. Well, I have only ever seen the Toby Stephens version. Oh how I love that man. I seriously need to see the Focus Features version. Now I am nervous to find a theater. Is it really that scarce? Where is the love? Oops forgot to leave my e-mail. Count this with my previous comment. So far my favorite adaptation was the 2006 BBC and WGBH version (technically a mini-series) starring Ruth Wilson. Far from a perfect adaptation, but better than the others I had seen. There are no theaters nearby showing this new one either! 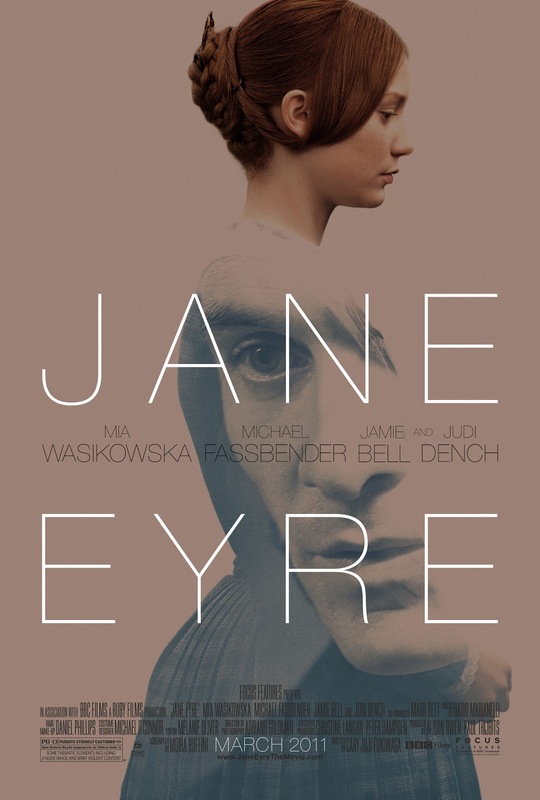 I'm fond of all the Jane Eyre adaptations I've seen. I also like the musical version; "As Good As You" is a great song.